An Anishinabek man is seeking a land claim over Benny forest in northern Ontario to stop commercial logging in the area. "It's been in the family a long time," Clyde McNichol said. "I should have a right to defend the land ... It's still home to me." Benny is located an hour's drive north of Sudbury, Ont., near the town of Cartier. 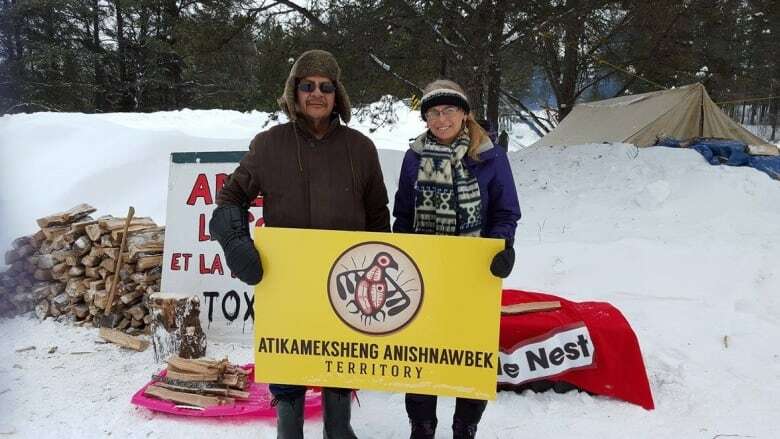 McNichol, who is from the Atikameksheng Anishnawbek (formerly known as Whitefish Lake First Nation), has protested logging activities in Benny before, but now he is pursuing legal action. McNichol is afraid loggers will ruin graveyards, and plants that provide traditional medicine in the forest. He also said he wants to exercise his traditional right of hunting, fishing, trapping and gathering in the woods. "These people are going to [have to] start hurry up and talking because [these companies] are back in the bush now and that shouldn't have happened." McNichol is still waiting to get a response to his land claim.